Home > PHOTOS > Former VP of Ghana, Amissah-Arthur Dies, President Akufo-Addo Mourns ! 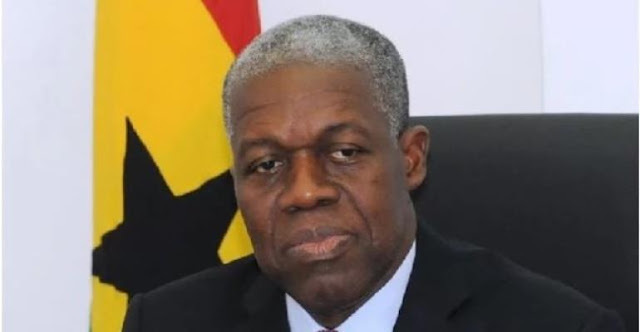 Former VP of Ghana, Amissah-Arthur Dies, President Akufo-Addo Mourns ! President Nana Addo Dankwa Akufo-Addo has extended his condolences to the family of former Vice President, Paa Kwesi Amissah-Arthur, who passed away Friday morning. In a post on his Facebook wall Friday morning, the President also extended his condolences to former President John Dramani Mahama, and the National Democratic Congress (NDC). “…he has been a longstanding public servant, who discharged his duties with dignity. The news of his death is unfortunate since he appeared to have a lot to contribute to the public life of our country,” he added. I have learnt with shock and great sadness the sudden death of the former Vice President of the Republic, His Excellency Paa Kwesi Amissah Arthur. He has been a longstanding public servant, who discharged his duties with dignity. The news of his death is unfortunate, since he appeared to have a lot to contribute to the public life of our country.